Plenty of jewellers got the green bug in 2016, and impressive emeralds were everywhere, with many finding their way on to our fingers. 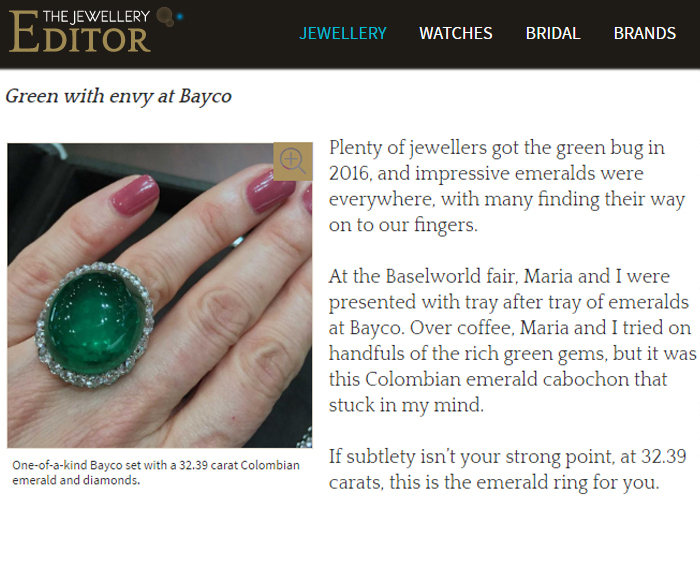 At the Baselworld fair, Maria and I were presented with tray after tray of emeralds at Bayco. Over coffee, Maria and I tried on handfuls of the rich green gems, but it was this Colombian emerald cabochon that stuck in my mind. 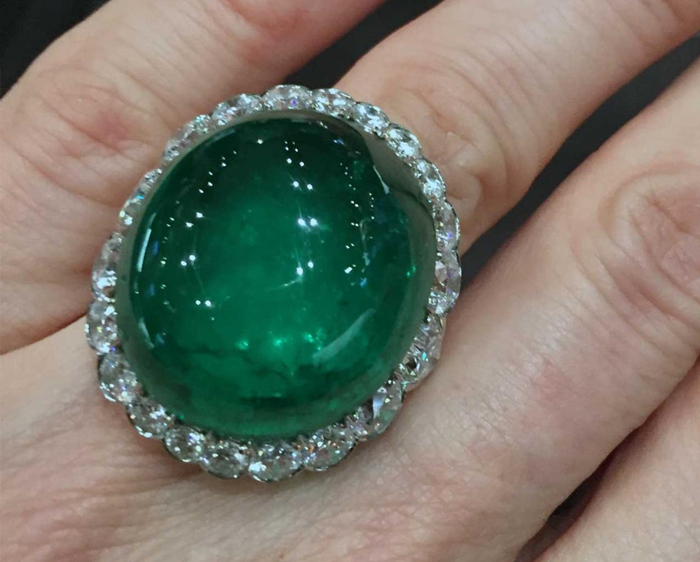 If subtlety isn’t your strong point, at 32.39 carats, this is the emerald ring for you.